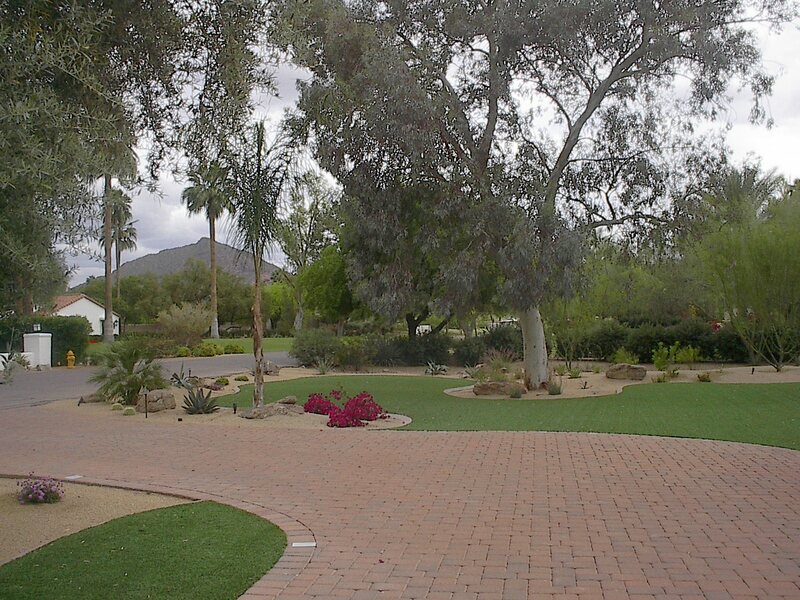 Living in Arizona, it's no surprise that most people turn to xeriscaping. In other words, gardening and landscaping for limited water supplies. It just makes sense. And yet, there's a lot of room for creativity and lateral thinking in the field of landscape design. There are plenty of reasons why getting real grass for your lawn wouldn't be a good idea, but the use of artificial grass may give your backyard/patio the look and feel that you've longed for. You probably have a lot of questions about artificial grass, so we'd like to take a few moments right now to consider the advantages of artificial grass right now. Artificial grass is just what it sounds like. There are many different makers of fake grass, but the approach is generally the same: specially crafted synthetic turf is created in order to simulate natural grass. How realistic does artificial grass look and feel? You'd be surprised. There are many different kinds of artificial grass out there, coming in different colors, lengths, and varieties. These sections of artificial grass can even simulate well-known grass varieties in such a manner that few will notice them until they're up close. One of the great advantages to having artificial grass to your backyard is variety. By having this turf used alongside traditional hardscape staples such as pavers and stone, you can give your backyard a great sense of color and variety. It'll allow the uniqueness of your home to come out. Seeding, sodding, fertilizing, and mowing can all be a hassle, and quite expensive. Watering the grass will also prove a massive expense, particularly given the weather in the state. Rather than pay exorbitant water bills to have real grass in the backyard, why not have realistic artificial grass instead that won't cost a fortune to keep alive? It's artificial grass, and you know what that means: no mowing, no trimming, no worries. Is artificial grass right for my backyard? It might be. Each person has a vision about what they'd like to have in their yard, and it really depends on how the grass complements this vision and meshes with the colors and textures that you have in mind for your patio. Our goal is always to help you make the best decisions based on your vision. We will work closely with you and help make recommendations and refinements to your ideas so that your vision can be as well-realized as possible. Keep in mind: our goal is your goal, so you shouldn't feel obligated to use our suggestions if they do not suit your ideas. We work with you and for you, not against you. 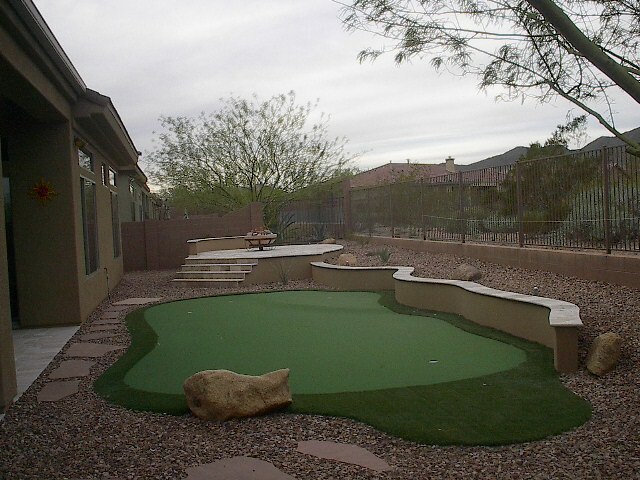 If you would like to learn more about artificial grass, other options for turf, and how we can help you design the patio and backyard space that you have always wanted, be sure to contact our Arizona landscaping experts today. We look forward to discussing all of these issues with you in greater detail and helping you make your vision a reality.